The message behind the Big Love Ball is simple: to spread Love and happiness. 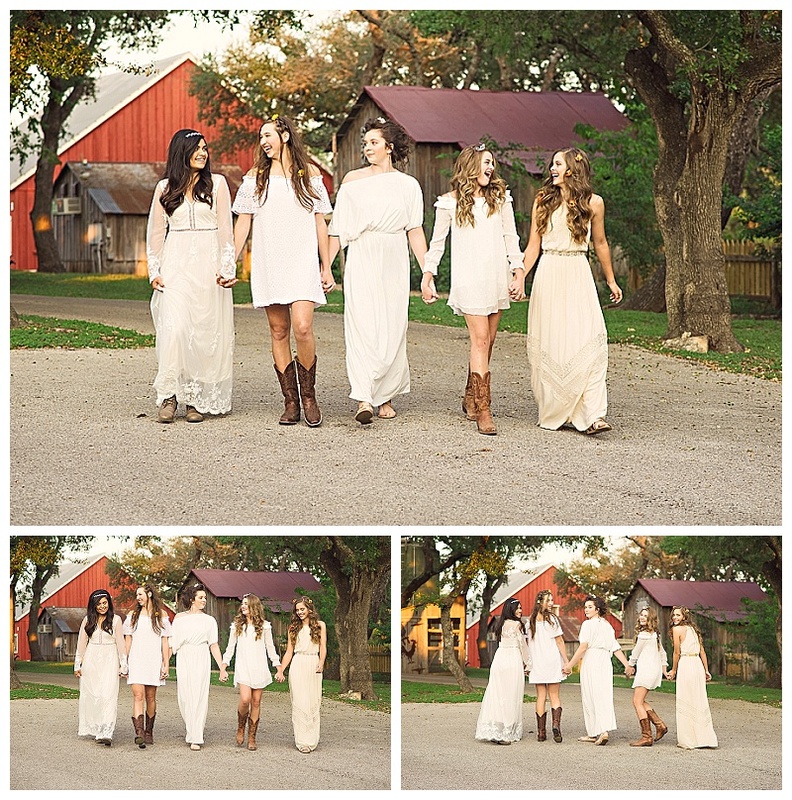 We had a fabulous time doing a team shoot with it, and it’s now available for all Ever After senior sessions! 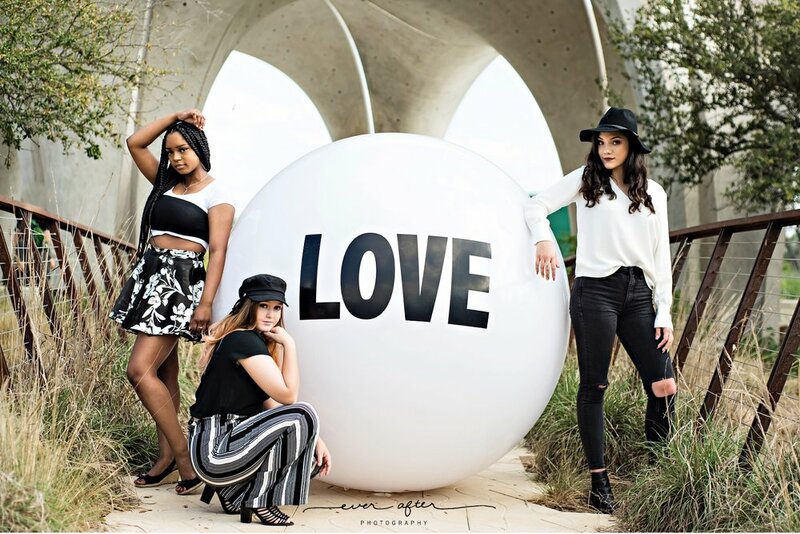 Contact me today to schedule an Ever After session, and be sure to mention that you’d like to include the Big Love Ball, there is no extra charge! How will you celebrate Galentines Day this year? 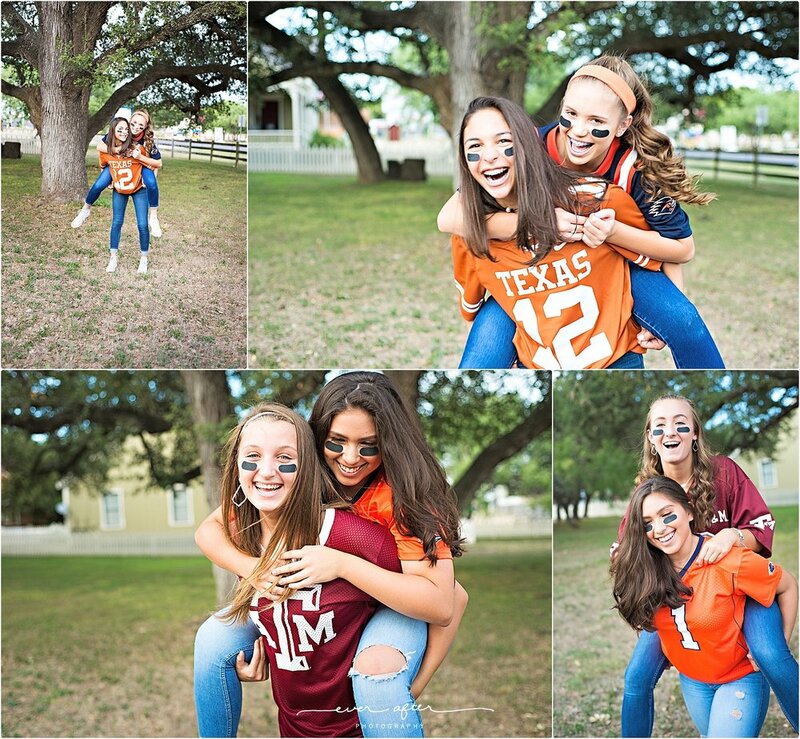 Ever After Models Kamryn Moore and Kaylee Carroll choose to do a shoot together and it couldn’t have been any cuter! I love that I get to photograph my models so many times throughout the year, it really gives me a great opportunity to capture a lot of different looks for them! Since San Antonio is in the middle of a cold snap, we decided to do the shoot in the studio. I don’t do a lot of studio work, but I really need to implement it a lot more often. It was a ton of fun and I love how it turned out. Stay tuned for part 2 of our shoot! Is this not the cutest little photography studio you’ve ever seen? I absolutely love working from here, it’s like having my own shabby-chic-mix-matched doll house! 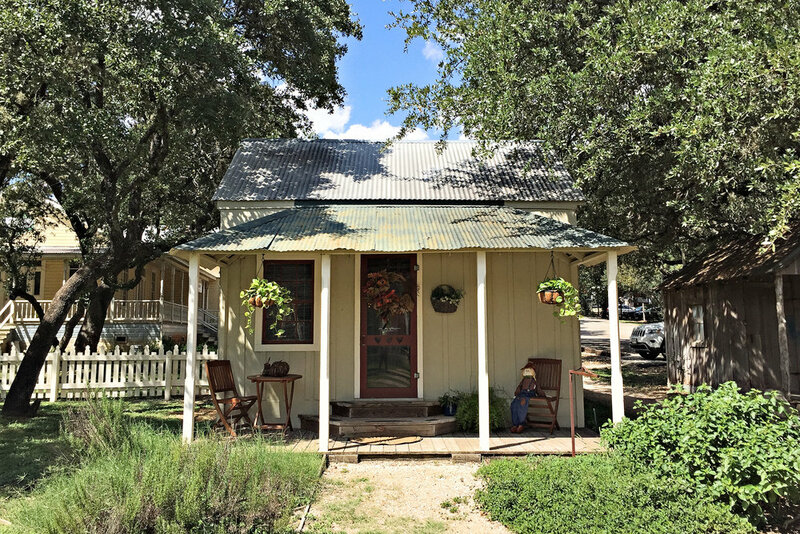 All of the boutiques here in Bracken Village are old homes that have been restored and moved from other parts of Texas; mine is more than 100 years old and was originally a railroad keepers home. I can’t imagine living in this tiny space, but I do love working here every day! So what goes on in Cottage 17? Well this is where we’ll first meet for your style consultation, and this is also where we do the final image reveal and order appointment. The thing I love the most is that my seniors get to see and hold everything that I offer, so there isn’t any guessing about size and quality when you are trying to figure out to get. I have tons of grad card samples, desk portrait display pieces and wall art to help you make decisions. It’s time to do this once again! 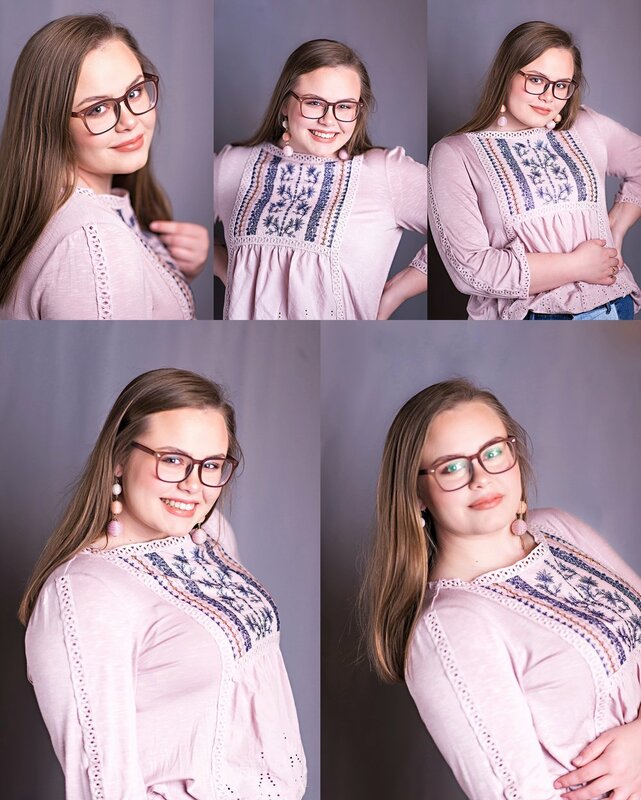 Project Beauty is a national campaign, started by Thomas Nguyen, to photograph young women completely natural, without makeup or editing or filters, to showcase their true beauty. Last Spring, the Ever After models and I participated in the project, and I am so happy to say it was an enormous success. So this year we’re doing it again, but bigger and better and YOU ARE INVITED! PORTRAIT REVEAL: The images from the project will be revealed at a private Charity Art Gallery Show held Saturday, Nov. 10th from 6:00-8:00 pm at Picasso’s Cellar in downtown Cibolo, benefitting DavidsLegacy.org. Tickets will be $5 at the door. Please consider donating to Project Beauty. All proceeds will go to support Davidslegacy.org. Each summer, I take a few weeks to photograph an often overlooked genre in the photography portrait world- teens! As moms, we make sure to get portraits done of our babies, toddlers, young kids and high school seniors, but the years between 10 and 16 are pretty much ignored and I think it's a shame! So three years ago I decided to do something about it, and began offering Freshman portraits. It's amazing to see them just at the start of high school; a little bit of the baby-face is peeking through but we also have a glimpse of what's to come. 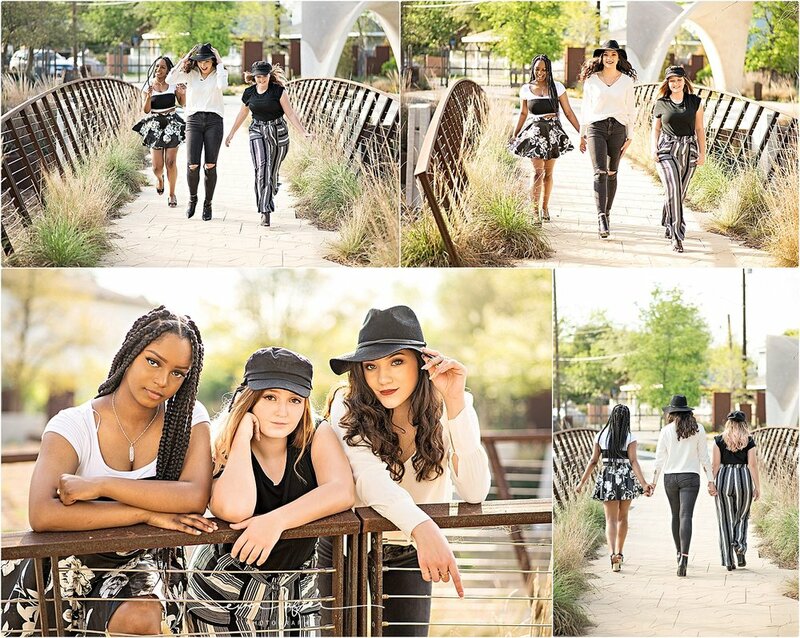 This shoot is a fun one I did with the girls on my Freshman model team. 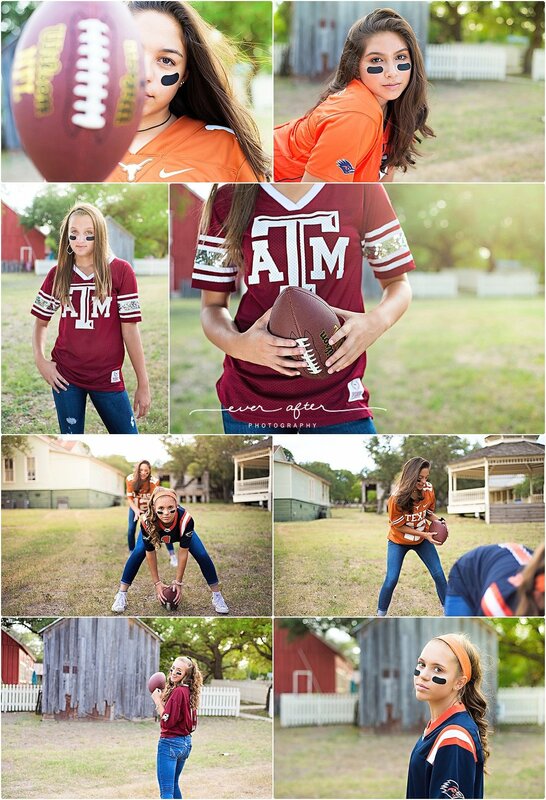 We had a blast throwing the football around on the grounds of my studio in Bracken Village. I'll share some of their individual portraits at the end. To see more model team images, click here. 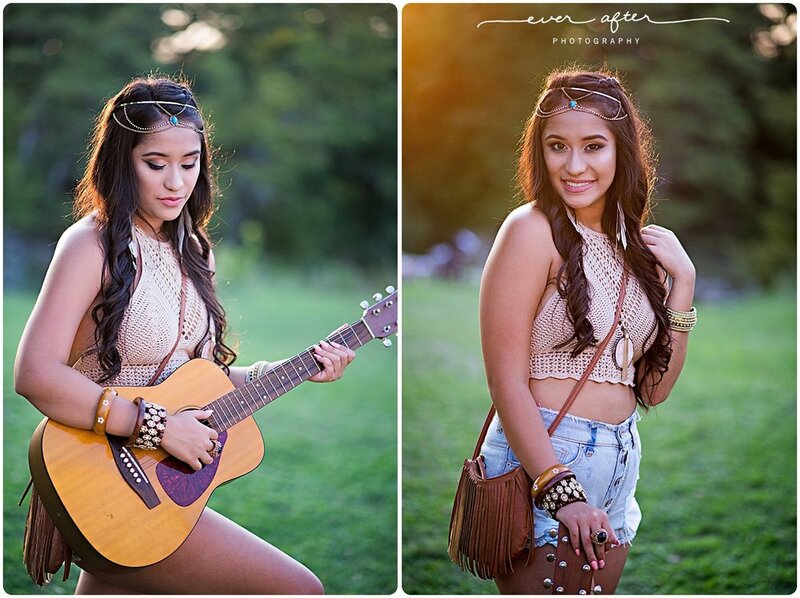 Teen/Freshman portrait sessions are now booking, contact me here for details! This time of year is so hard for me! 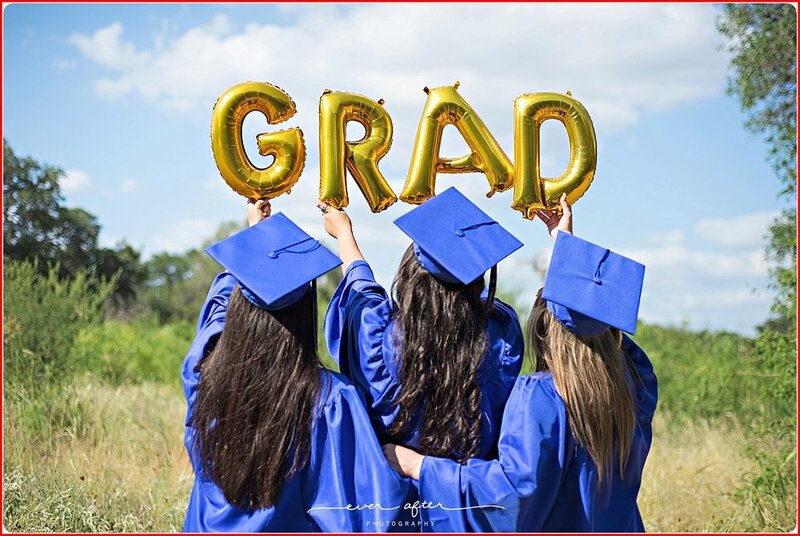 I have spent so much time with these fabulous girls and grown to love them so much, and now it's time for them to don their caps and gowns and walk into their new futures. We truly had a fabulous year with so many great memories, from the Boho River Shoot, to the No Boys shoot, the Chulie's shoot, the Project Beauty shoot and finally ending as always with our annual Cap N Casual shoot. 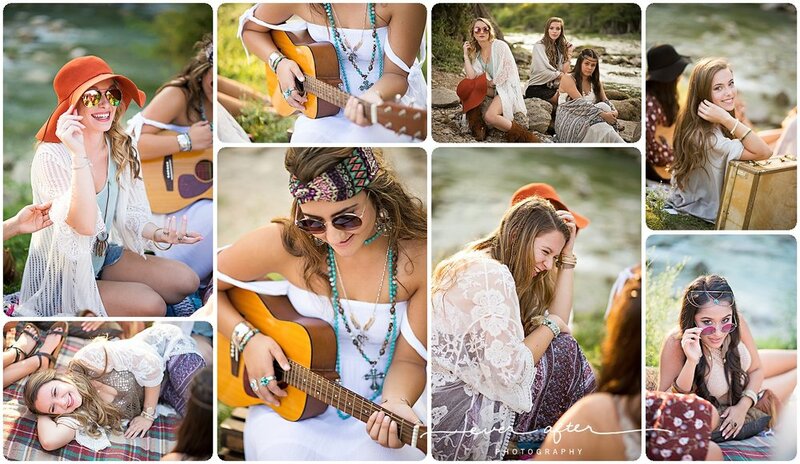 As fun as all the big group projects are, my favorite shoots are the individual senior sessions I do with each of them. 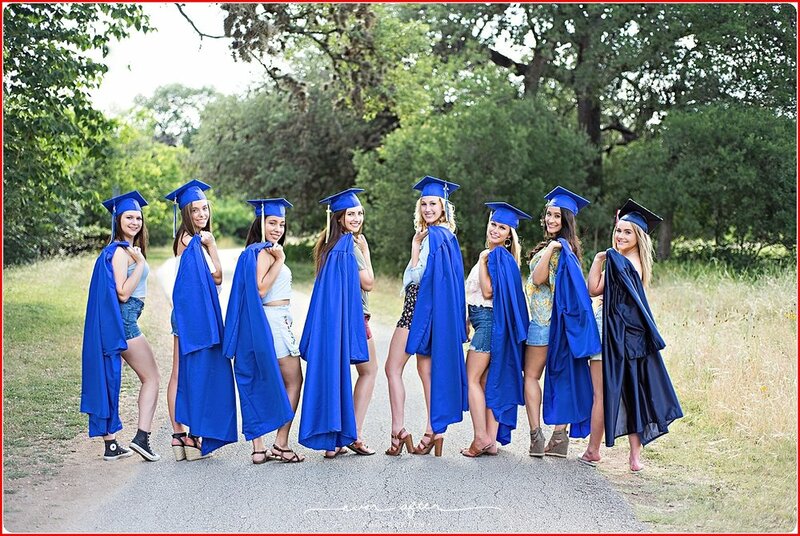 We created a lot of gorgeous images and I am happy knowing my seniors and models will have some precious heirlooms that they can look at in the years to come. To all of my class of 2018 seniors, thank you for a fabulous year. 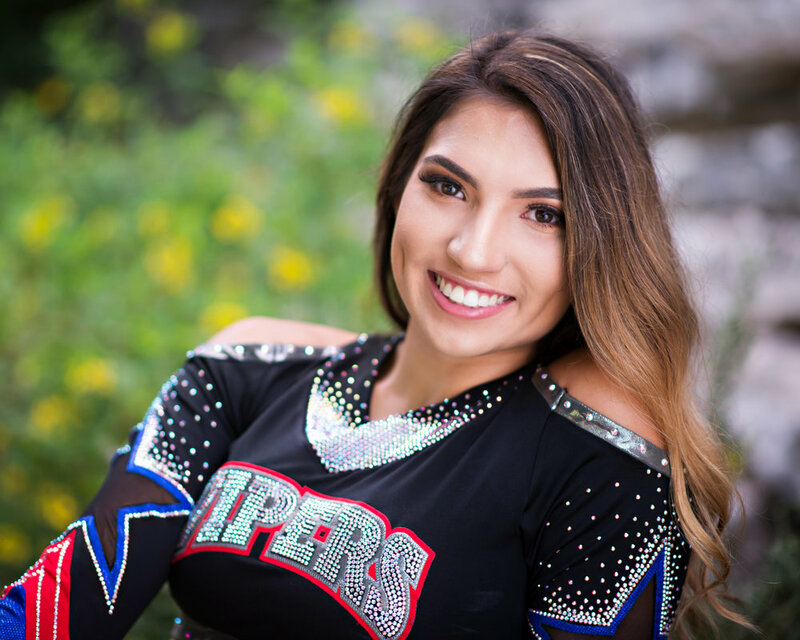 I am honored to be chosen by so many outstanding kids to take their senior portraits, and I want to encourage each of you to continue reaching and achieving great things. Love you and I'll miss each and every one of you! Take care girls, you'll be in my heart always! What is beauty to you? How do you like to see yourself? How do you want others to see you? Do you feel pressured to look a certain way each day? I asked the members of my model team these and other questions after we participated in a nation-wide movement called Project Beauty. Their answers are thoughtful and inspirational, and once again they made me proud to be associated with such amazing kids. I photographed each of them without makeup and very little editing was done to the images, other than to make them black and white. While every girl was initially enthusiastic about doing the shoot, I started getting questions and I could sense some trepidation and worry about the shoot. 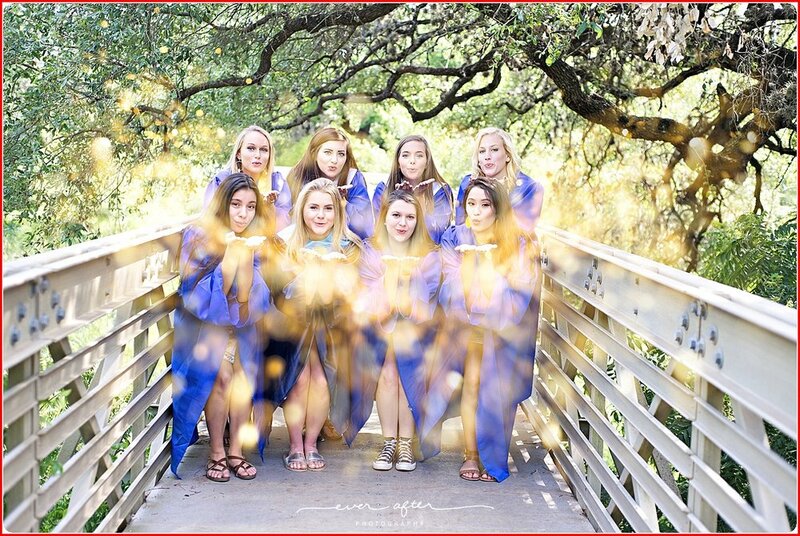 Spoiler alert; the shoot ended up being AMAZING for each and every one of us. For my part, doing this project far surpassed my expectations. I've known for a long time that these girls are smart, strong, and beautiful, but to see their scrubbed faces without makeup was truly a beautiful thing. They inspire me every day with their enthusiasm to do new things and their willingness to put themselves out there to work toward something that is bigger than any of us. I hope they each got to see themselves the way I see them all the time, and I hope they continue after graduation to do great things with the same level of confidence. The mission of Project Beauty is to send a message of empowerment and self-acceptance to a generation that is bombarded daily with pressures to act and look a certain way. I believe that acceptance of your own flaws is the first step toward acceptance toward others, and it's my hope that these girls come away from the experience with a new dedication to that end. It is always a huge honor to work with these girls and I'm looking forward to hosting this shoot for my future senior clients. The proceeds of the shoot were donated to DavidsLegacy.org, an organization that is dedicated to ending cyber-bullying. The Ever After model teams and I are proud to support them in their efforts. 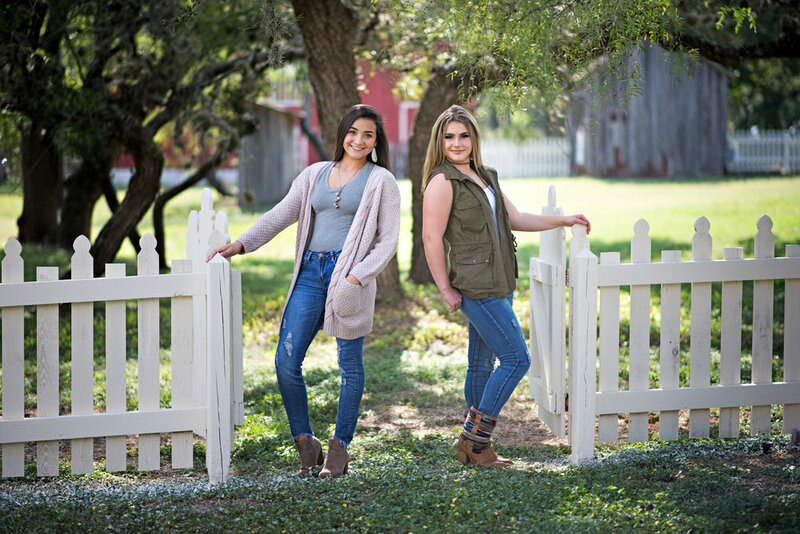 One of the things my seniors tell me they worried about the most when planning their senior session was that they wouldn't look like themselves in the pictures. They don't want to be overly made up, wear outfits they don't normally wear, and they don't want to look like they are trying too hard to be someone they aren't. I totally get it. Who wants to look back in the years ahead at pics that look pretty, but nothing like who you are at this point in time? 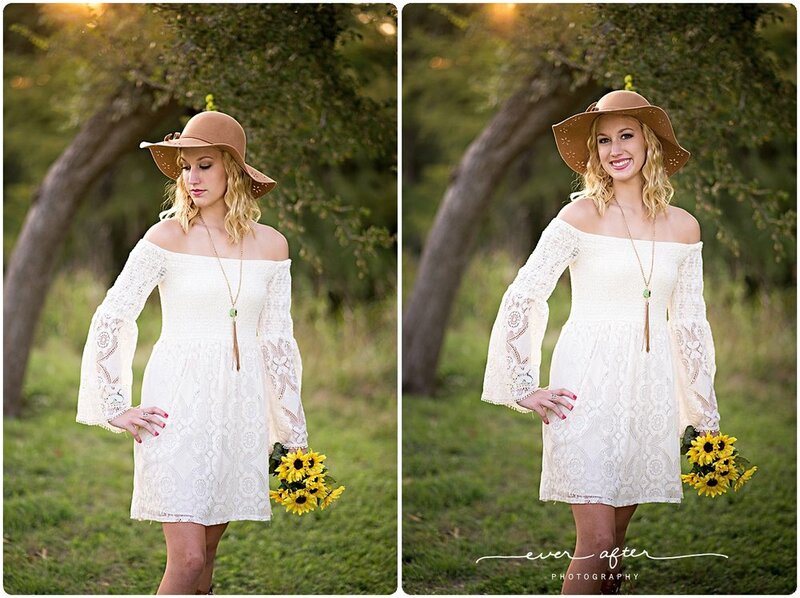 We've all seen senior pics that look amazingly beautiful, but we barely recognize the person in it. That's usually because the photographer has a recipe for every shoot that she follows no matter who is being photographed; from what hair and makeup artist to use (it's usually required), to outfits, to locations, props and overall style. It's all decided by the photographer so that she can be sure every shoot reflects her portfolio standards and because having professional makeup makes her job of editing a little easier. Everyone looks the same, wash, rinse, repeat. I specialize in creating pics that show who you are in a fun, creative way that doesn't look cheesy. 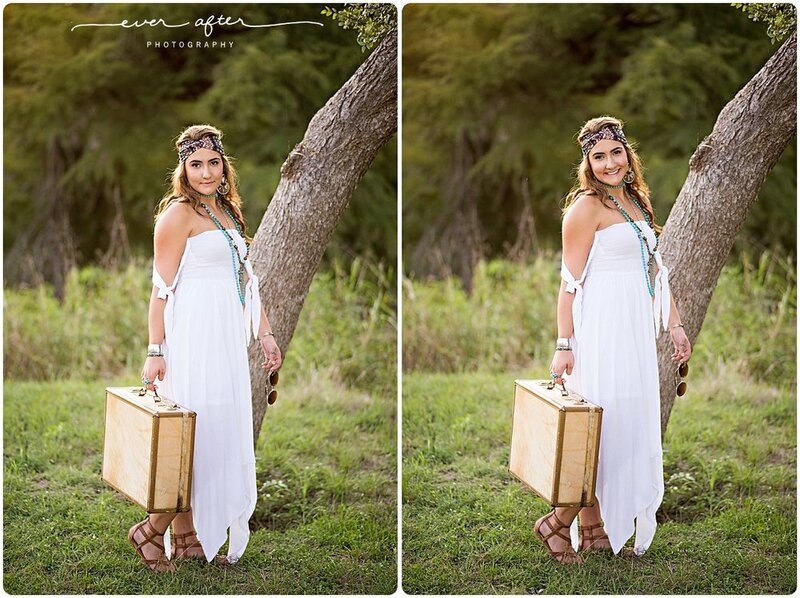 If that is what you want for your senior portraits CLICK HERE. Emily's session was on one of the hottest days of the year, but you'd never know it--she looked cool and comfy in spite of the blazing heat! I especially loved her outfits! 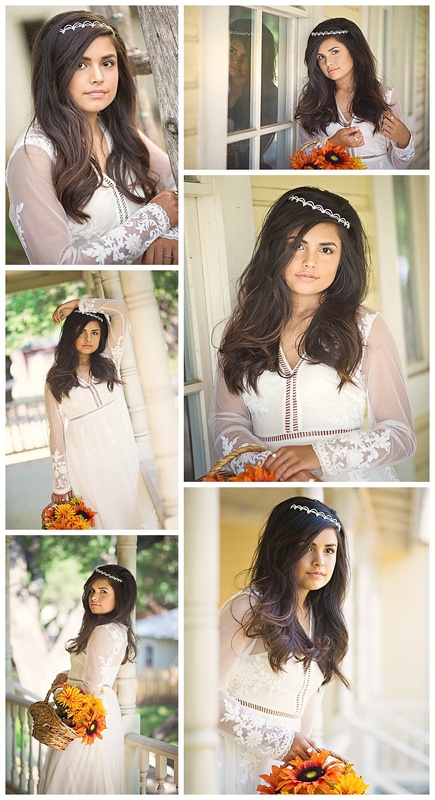 She incorporated soft colors and flowing fabrics that went perfectly with her sweet nature. 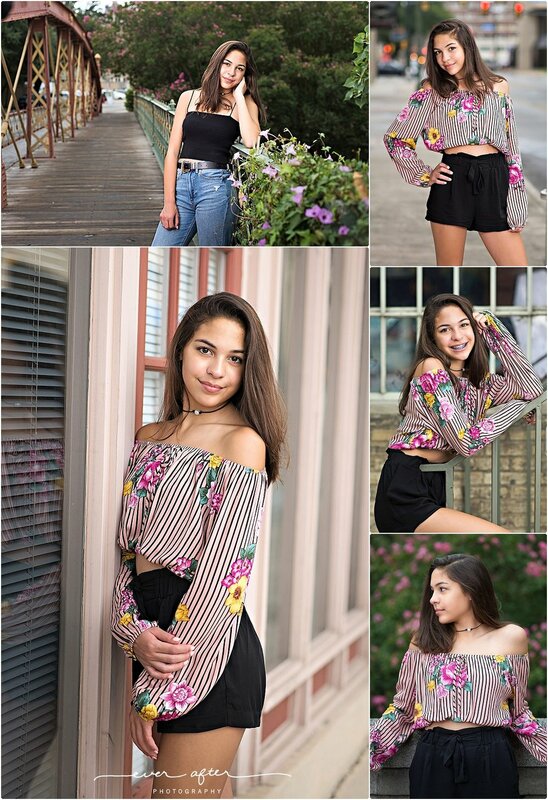 We did her shoot at the San Antonio Botanical Gardens and I swear she fits right in with the beautiful flowers and gardens. Don't you? I am now booking spring dates for the class of 2018. 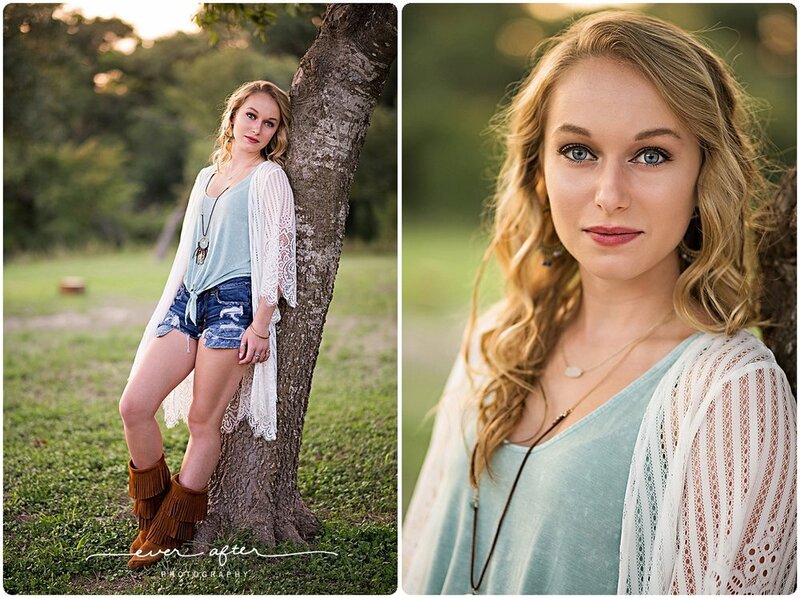 I encourage you not to wait to book, early planning is key to getting exactly what you want from your senior session. For more information or to schedule your shoot, contact me here. If you follow me on IG, you've probably heard me say I do sessions that capture who you are, not just what you look like. This is really important to me because I want you to be able to look back on your senior pictures and truly get a sense of what was important to you, not what my vision was for a great shot of you. One of the ways I do this is by sitting down with each senior to hammer all the details out. Last summer when I met with Macky, she said that one of her favorite places on earth was her own backyard and the river right down the road from her home. So that's exactly where we went! We did the first outfit around her yard, with gorgeous late-summer sunlight streaming through the trees. After that we headed down to the river, and finally the golf course where she and her dad have spent many hours together. It does take a little extra time to figure out the perfect locations, outfits and props, but the end result is both stunning and a real glimpse into what makes you, YOU. 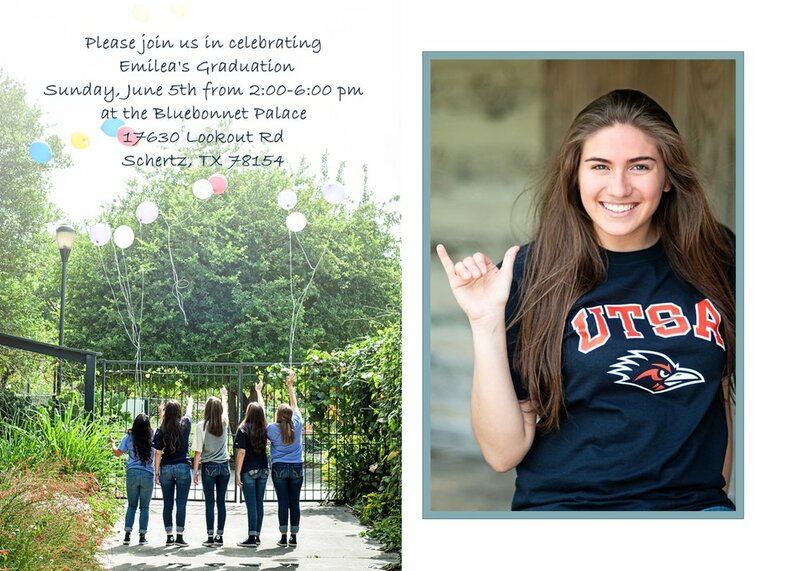 Ready to chat about your senior portraits? Get in touch with me! I am now booking spring sessions. I love having guests, but I've been told that it's really hard to find the studio so I thought I'd give you a few tips before you head over. I'm located in Bracken Village, an adorable little shopping center made up of restored homes located close to IH 35 and 1604. 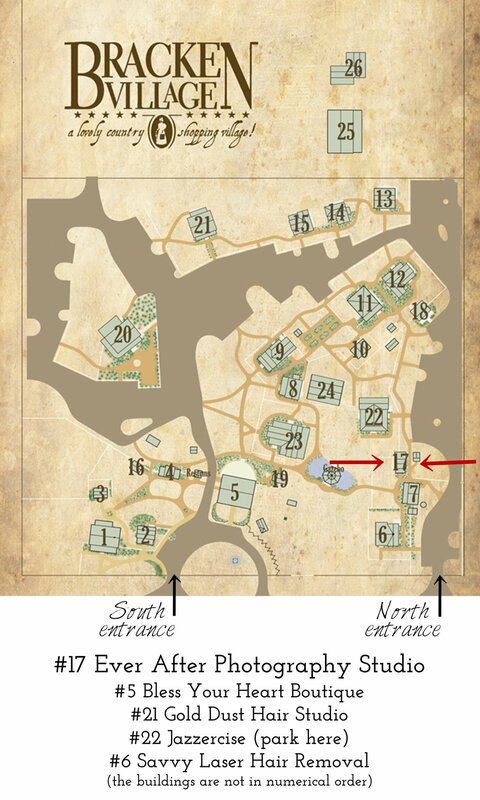 The complex makes a big half-circle, with an entrance at each end. The main entrance is close to Bless Your Heart Boutique; I'm closer to the other entrance near Grumpy's Restaurant, but you can easily get to me no matter which way you enter. If you enter near Bless Your Heart, just follow the road all the way around to the other side of the complex, park in front of the big yellow building, and walk around to the front of my building. If you enter at the entrance near Savvy Laser Hair Removal, I'm two buildings away. You'll see a long white picket fence, you can park on the other side of it and walk around to the front of my building. So...what's a Lite session? It's a mini-shoot, with a shorter time spent shooting, fewer outfits, less traveling and fewer images than what I offer in a Luxe shoot. I have a few kids each year that REALLY don't care for all the hype and fuss that the Luxe shoot entails, the Lite session is simple and sweet, and best of all, the images are identical in style and quality to those from a Luxe shoot. The session fee is $100; prints, cards and digital files are available for a limited time after your shoot from an online gallery. NEW THIS YEAR... I am opening up the Lite sessions to FAMILIES. Yay!! Slots are 30 min each, which is enough time for an entire family to get group shots as well as individual images. Ordering from a Lite session is done entirely online, and if you place your order at the time of booking you'll get a 10% discount. To book a Senior or Family LITE shoot, get in touch with me. 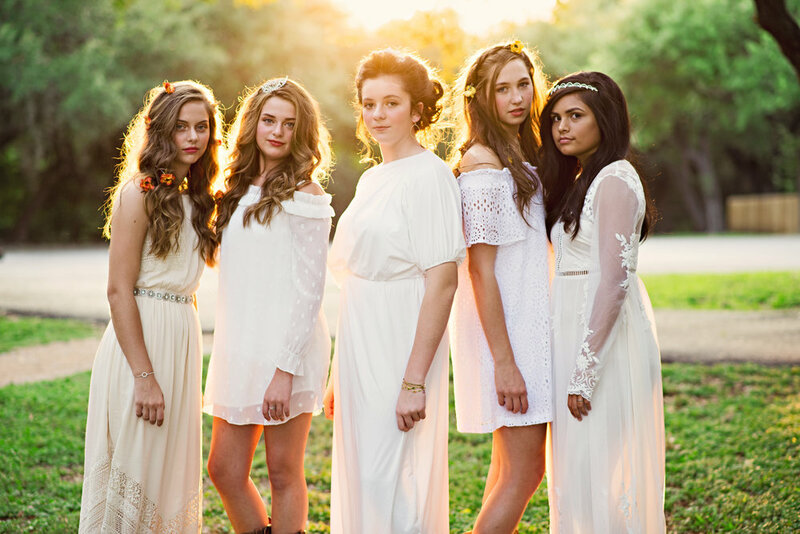 Here it is.... the Girl in White Dresses theme shoot for the Ever After Freshman Model Team! We met up yesterday at the studio for hair and makeup, which was done BEAUTIFULLY by makeup artist Barbara Elizondo. 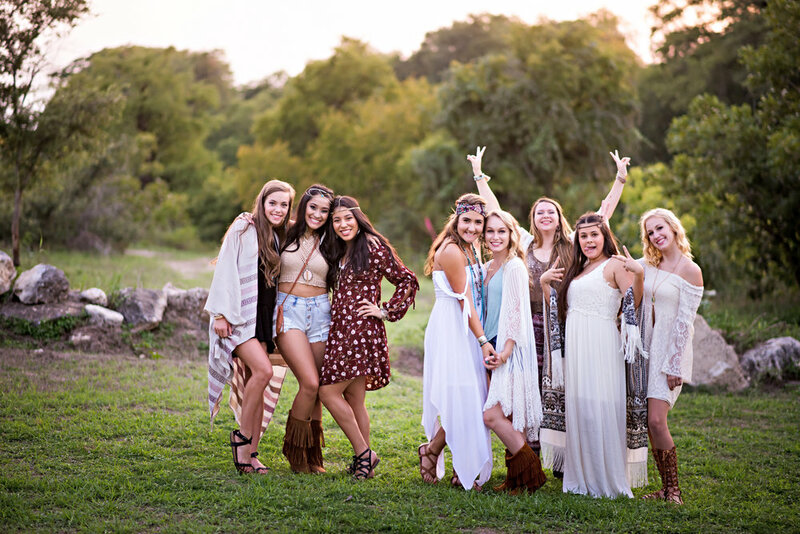 The shoot took place right outside the studio on the grounds of Bracken Village. I had no idea it would be this magical shooting here. I hope you love it as much as I do! 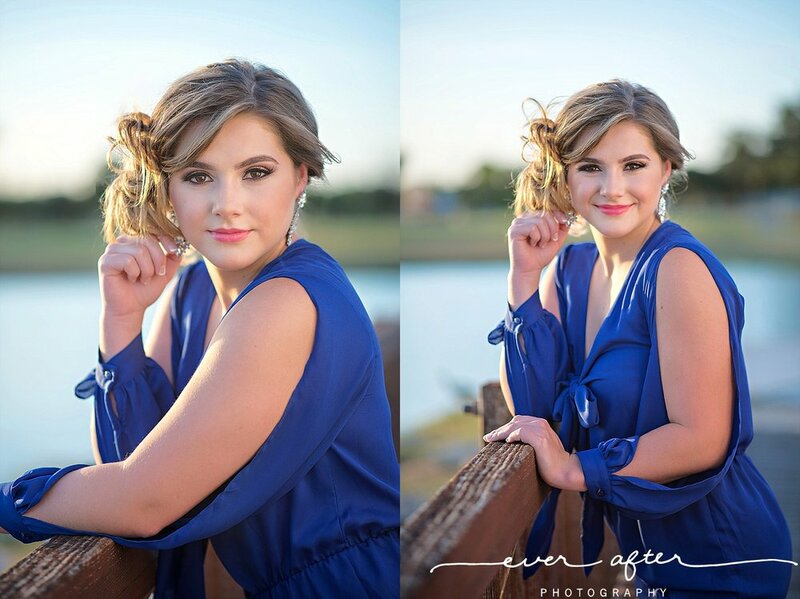 Ever After Photography specializes in portraits for teens and high school seniors. For pictures that show who you are, not just what you look like, get in touch!